Walden House is an impressive architectural masterpiece. Designed to embody a contemplative spirit and celebrate a purposeful existence, this estate is currently listed for sale. Presented with a once in a lifetime opportunity, the buyers will live in the only existing Vail Valley home designed by world renowned architect Annabelle Selldorf of Selldorf Architects. Shaeffer Hyde had the privilege to work alongside many highly esteemed artisans and tradesmen during the completion of Walden House. This unrivaled parcel of Vail Valley real estate is located in Edwards, Colorado. The meticulously c rafted home consists of seven bedrooms, and nine and a half baths. The home is situated on over 100 spectacular acres high in the exclusive Lakecreek neighborhood. The exquisite landscape includes a private pond, sun drenched hills, and sprawling meadows adjacent to seemingly endless White River National Forest land. The open design invites expansive views of the Sawatch Mountain Range and the stately peak of New York Mountain. Refinement, Simplicity and Tranquility. This extraordinary estate offers peaceful mountain living at its finest. 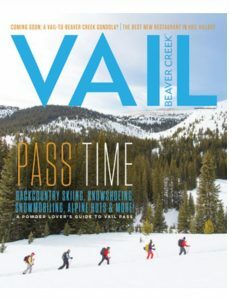 Our valley’s local publication, Vail Beaver Creek Magazine recently highlighted Walden House in their Spring 2017 edition. Access the feature by clicking the image of Vail Beaver Creek Magazine, or see more of the property in the fascinating drone video provided through the listing agents of Douglas Elliman Real Estate.